I've been reading 2000AD since I was eight years old, and collecting miniatures since I was twelve. Odd then, that this is the first 2000AD miniature I've ever painted. It's nothing less than a crime. Therefore, I give you the opening model for the Mumblings end of the Judgement Day challenge, Judge Mortis. The rules for the challenge are posted here. Both myself and Cheetor of Sho3box fame are posting today, to kick things off. I've always been a huge fan of the dark judges, and Judge Mortis, while not as much of a rockstar as Judge Death, is a favourite of mine. It's the insta-rot thing he does I reckon. He sure has a way with thossseee sssinerssss. 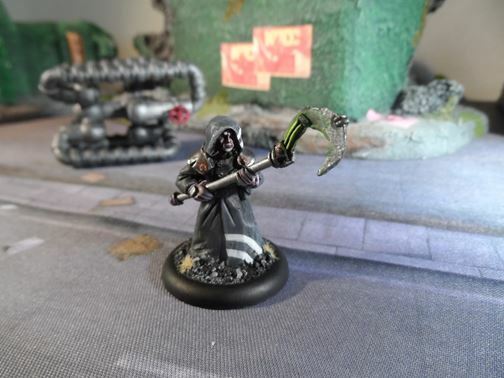 This particular incarnation of Mortis is the original Citadel Miniatures version. He's quite small, but has lots of lovely detail. Hell, he even has a dimension jump on his belt, a vital piece of kit for your dark judge about town I feel. I have his brotherssss from the same release in stasis, no doubt they'll make an appearance of a future Judgement Day post down the line. 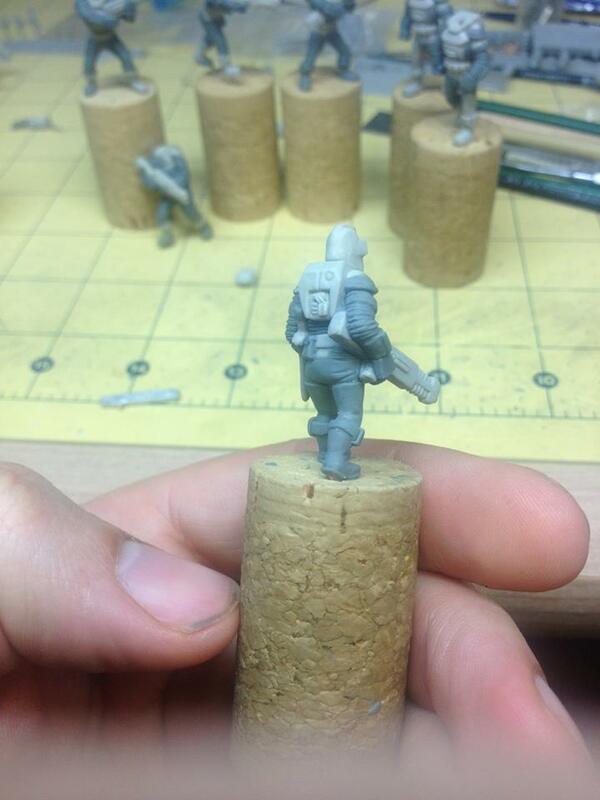 His base is a resin Microart Studios base with some extra debris added. Cheetor has his kick off post on Sho3box, and from now on, expect a Judgement Day post from one of us every Monday. Next week I bring you another old enemy of Mega City One. It's always nice when you discover someone has the same unhealthy obsessions as yourself. In the case of Cheetor and myself, it's Judge Dredd. Why this has not translated into a massive pile of Judge Dredd minatures is down to many reasons, but none of them a worthy excuse. To that end, we have made an accord. Each participant is required to put up a Judgement Day blog post featuring an appropriate, not previously exhibited model, every fortnight, on the allocated Monday. The timetable is staggered: a single participant exhibits on each Judgement Day. 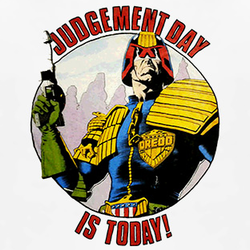 NB: the very first Judgement Day post on April 27th will be an exception: both participants will submit an entry on Judgement Day #1). From Judgement Day #2 onward, no participant may submit two consecutive Judgement Day posts. Delays due to unforeseen real life things (death, emergency surgery, alien invasion etc) will be allowed for, but predictable disruptions (wedding anniversaries, elective surgery, Mothers Day, hangovers etc) will not. The punishment for failing to post on an allotted Judgement Day is the knowledge that you have failed yourself and the other participant: Shame of incalculable proportions follows. Will we manage to keep the momentum up? Who knows, but it's going to be a fun time. Who's first up for the JD treatment? The jury is out, but there's a strong chance it may be a member of a certain villainousssss crew. You can check out Cheetor's initial Judgement Day post here. Judgement Day #1 is on April 27th. 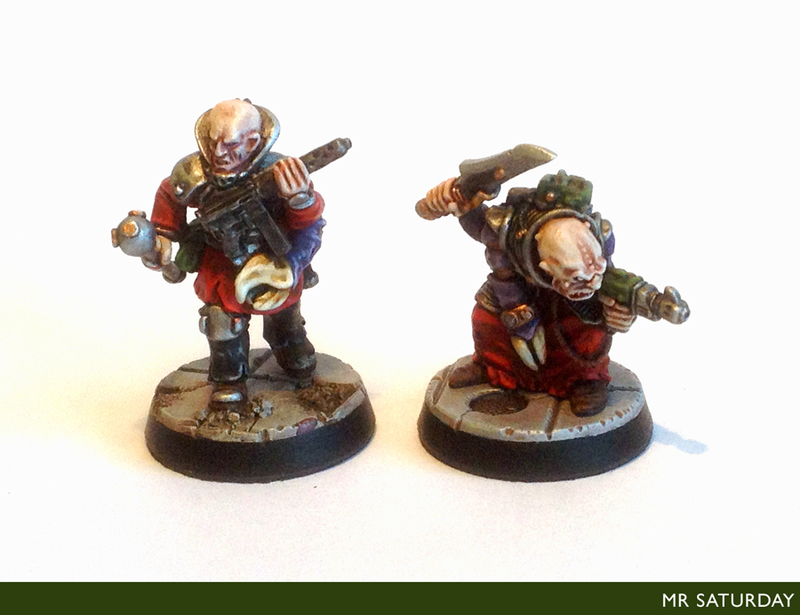 I recently got my hands on some of the models for the Malignancy faction for Macrocosm. (The Malignancy background is really very unpleasant/fantastic indeed.) 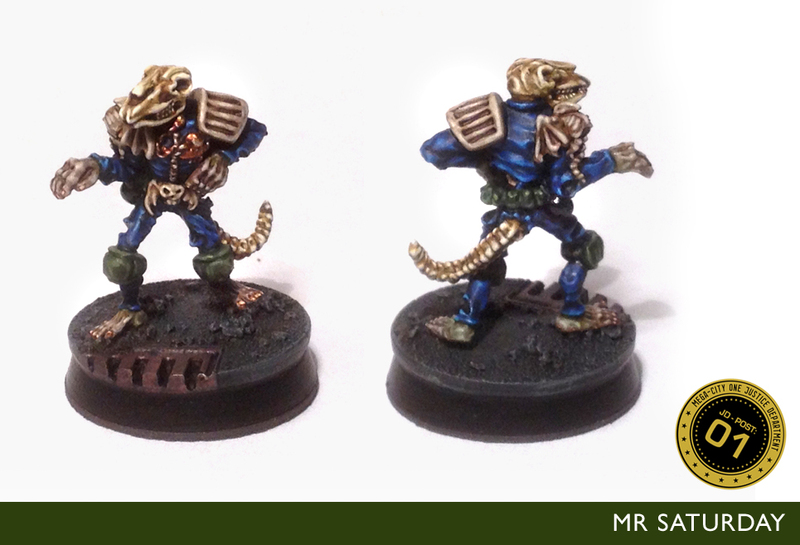 Nothing puts a model through it's paces like painting it, and I decided to paint up one of the malformed host models. 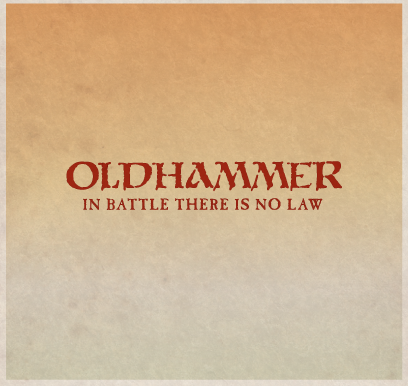 He's a two piece model, the hand with the mace being the separate bit. Most of the Malignancy are single piece sculpts, however. There was very minimal cleanup with this chap.You can see him here below in all is infected glory. So... ahm, I can see we're going to get along. Let's not beat about the bush here. 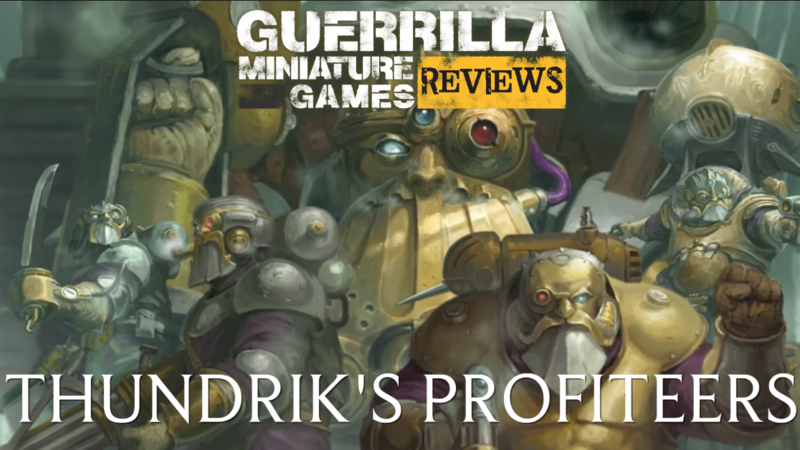 The Malignancy are undeniably useful as genestealer hybrids, and for anyone that isn't into converting, these models are a godsend. The high collars, bald bulbous heads and extra chitinous limbs are enough to get any Malignancy host or renegade into a cult only party without getting stopped at the door. 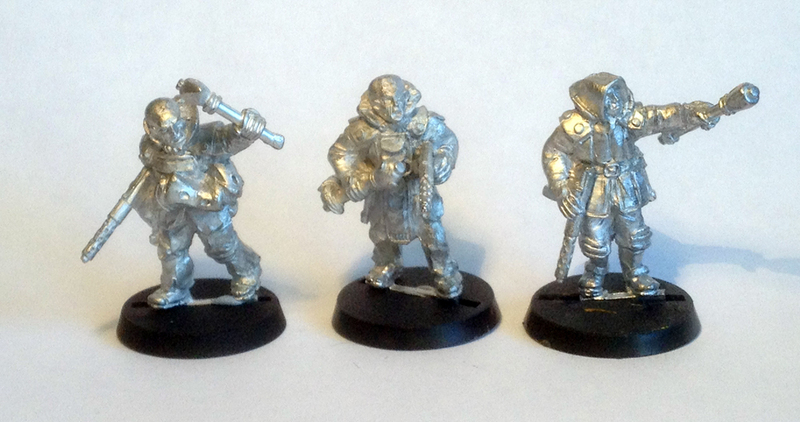 Here are some of the other hosts and a brood bro - I mean infested thug. All nice, chunky sculpts that will paint up very nicely. 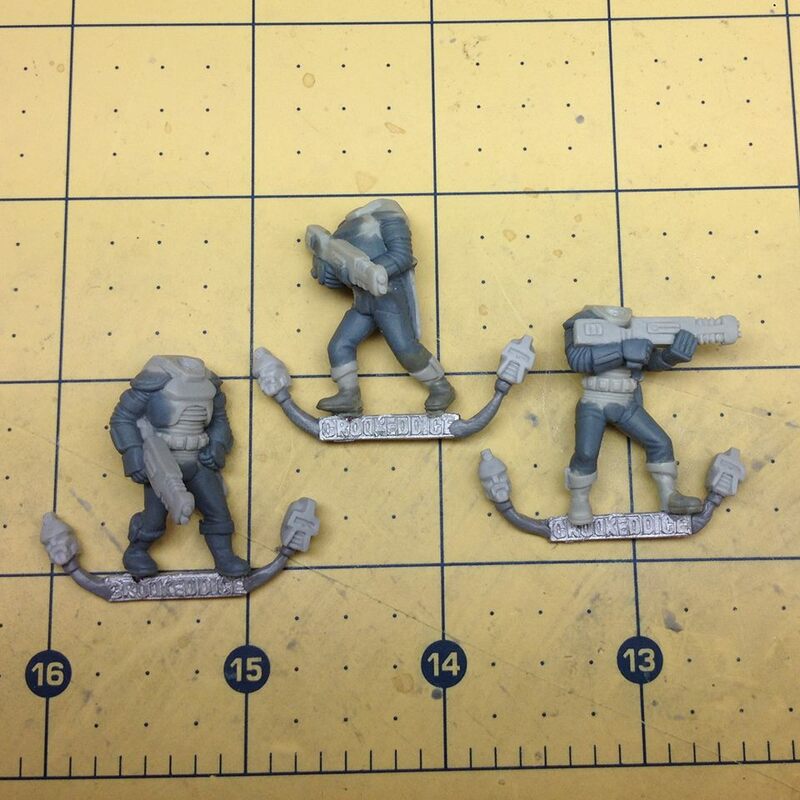 There are over twenty sculpts at the moment, including heavy weapons and leaders, more than enough for the core of a cult force. 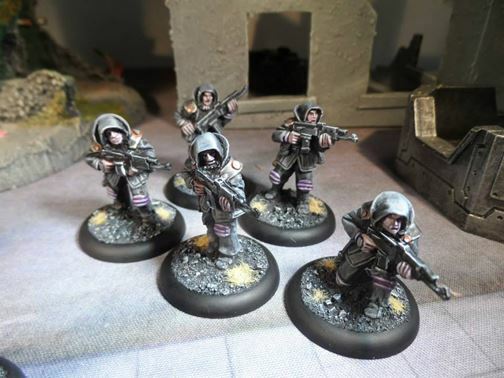 I can see these boys appearing on a 40k table near you soon, but with the Macrocosm rules being free to download, why not give it a blast? For more immediate gratification, you can also catch all the goings on for Macrocosm on Facebook. I love when you come across minis that stop you right in your tracks. Most times I weigh up what I'll use models for and if I really need them before I buy, but sometimes you don't even hesitate. 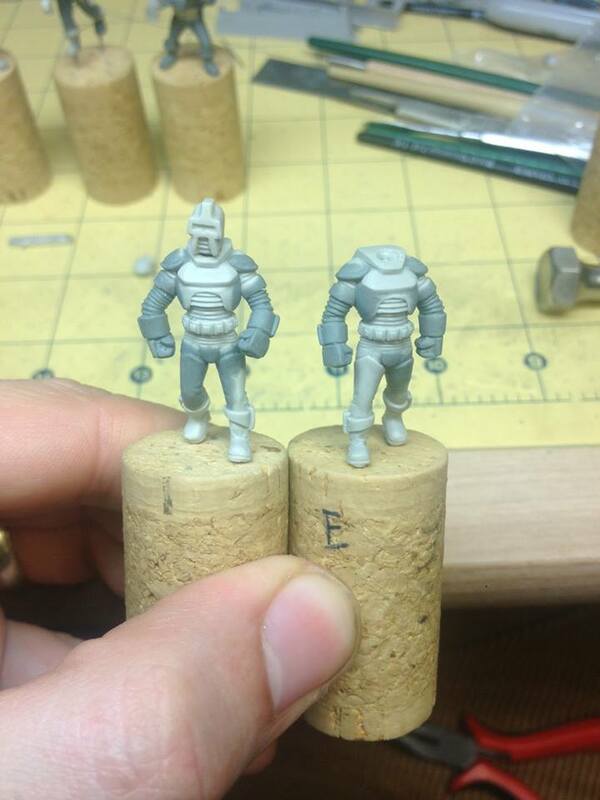 So it is with the upcoming Argonaut Mrk2 models from Crooked Dice. I was a HUGE fan of the Cylons in the original Battlestar Galactica. As such, I'm going to be putting together a league of these cyclopean robots for Pulp Alley, all the while whispering 'BY YOUR COMMAND' every time I move one. These are due for release at Salute. There are eight poses, presumably in one set. 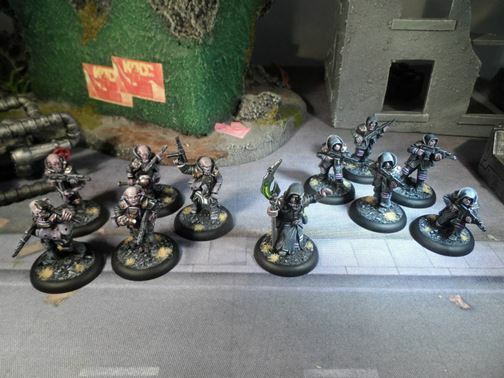 Macrocosm is a 28mm Sci-Fi Skirmish game set in a future galaxy of excitement, rayguns, weird aliens and wonder. Players take on the role of a group of adventurers and explorers, represented by a group of miniatures, where they play out scenarios and campaigns to determine the fate of the colonies and to further the glory of their chosen faction… and of course… to have fun! Currently there are two complete forces that you can play, with many more planned for the future. 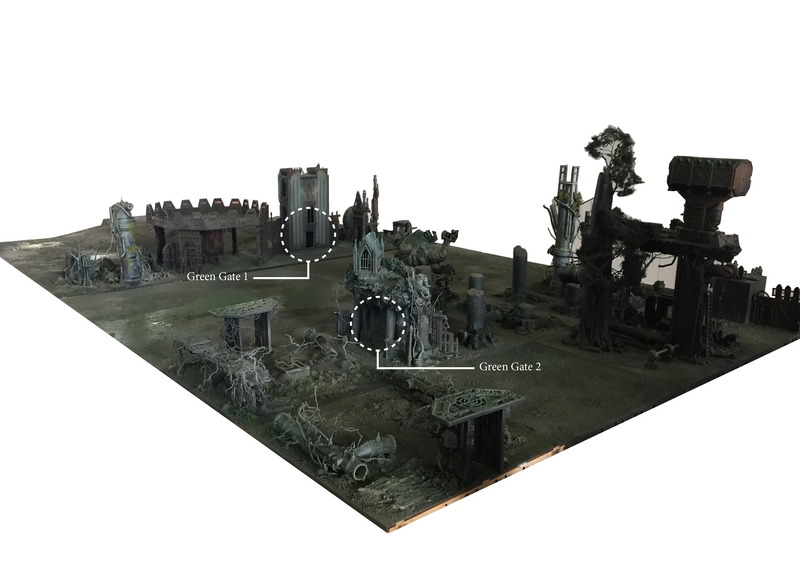 Each faction has its own flavour and special rules, with over 20 individually sculpted models in each, including powerful heroes, stalwart soldiers, support weapons and even a couple of vehicles and large-sized troopers to really make an impact to your gaming experience… or just to collect and paint! 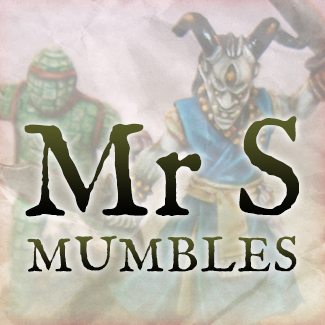 We have a free set of rules with army lists, to download from our website. 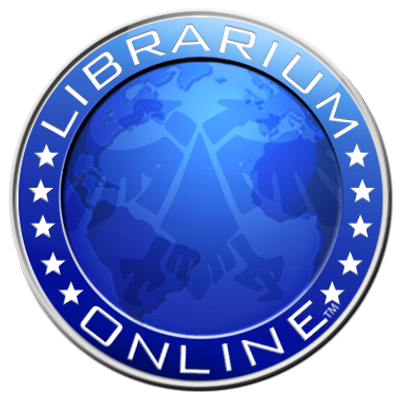 We also encourage input from our customers and fans to help keep us up to date with what you would like to see in the vast and expanding universe of Macrocosm. The free rules and lists are a very nice bonus indeed. 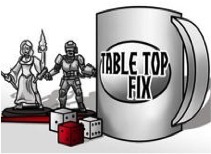 They are also encouraging players to let them know how the rules feel on the tabletop. The main rules are only 12 pages, so nice and straightforward, and from my reading of them, bearing in mind I haven't played with them yet, they look clean and intuitive. Most intriguing are the minis themselves. The Malignancy is the first faction available, let's take a look. The Malignancy are humans at various stage of infection by the malignancy parasite, a horrific, host consuming gribbly. A telepathic link, the Telethesia, controls the malignancy as it rages across the galaxy. 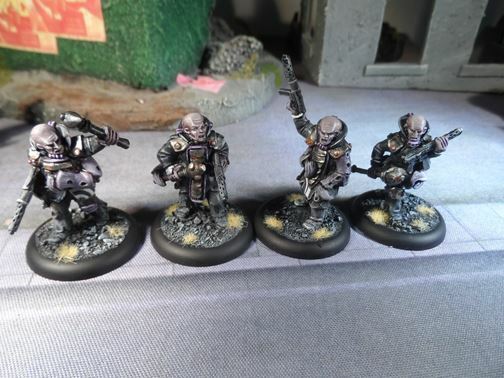 The minis for the Malignancy have a great aesthetic, almost near future rather than laser guns and so on. They are nicely detailed, and are pleasantly realistic looking, like guerrilla fighters rather than shiny parade troopers. Now, anyone familiar with the history of sci-fi gaming over the last twenty years realises these fellows bear a passing resemblance to another group of alien infested humans. 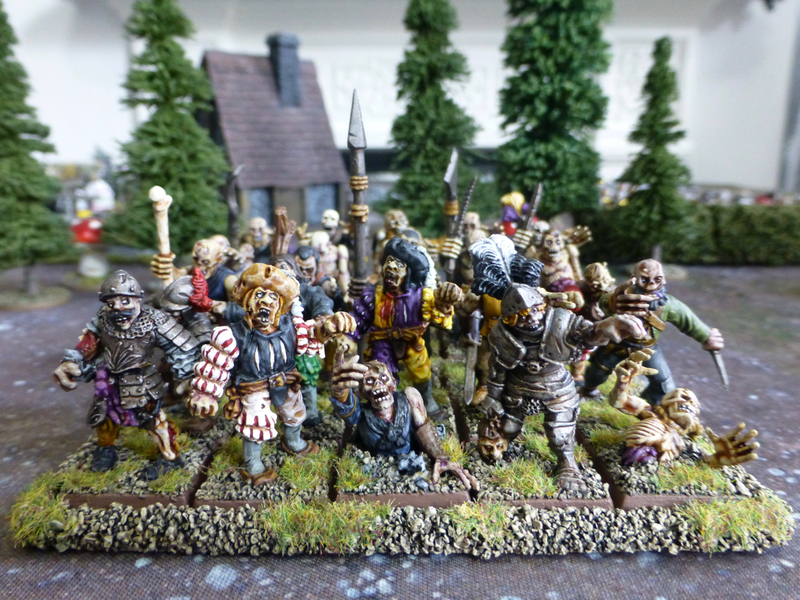 As such, access to these minis will make fielding a force of Malignancy or any other... cult... very easy indeed. I for one will be hitting the webstore. The Croll introduced a fast acting program of genetic manipulation and selective breeding program, which resulted in the members of the Corps becoming much shorter and more robust. The bones of the miners became many times denser than their human counterparts, much more able to retain calcium in the low gravity of their vessels and their hair grew thicker and more able to retain heat, helping with space survival. Not only that, but their shorter stature was also able to better cope with low temperatures and allowed them to create smaller and safer mining shafts when mining asteroids and extra-stellar planets, improving the survival rate ten-fold. This combined with an increase in the rod receptors in the recipients eyes, meant they were much better suited to the low-light environment beneath the surface of planets. So, interesting eh? Well, it is for me anyway. Maybe you don't give a squat. Keep an eye out for more from Macrocosm on The Mumblings. Next up I'll be taking a closer look at the Malignancy miniatures and have a go at painting up one of these very bad boys.